During the Brunei invasion of the Philippines, Sultan Bolkiah of Brunei captured Seludong, a village in modern-day Manila and renamed it Maynilà, a Tagalog term referring to the presence of the nila shrub. Maynila was a vassal state of Brunei, established to overpower the Kingdom of Tondo. The vicinity of Manila was once under the Kingdom of Tondo before it became a province of the Majapahit Empire, a Hindu kingdom in Java. Maynilà had been Indianized since the 6th century or earlier and had become partly Islamic and Hindu-animist by the 15th century. 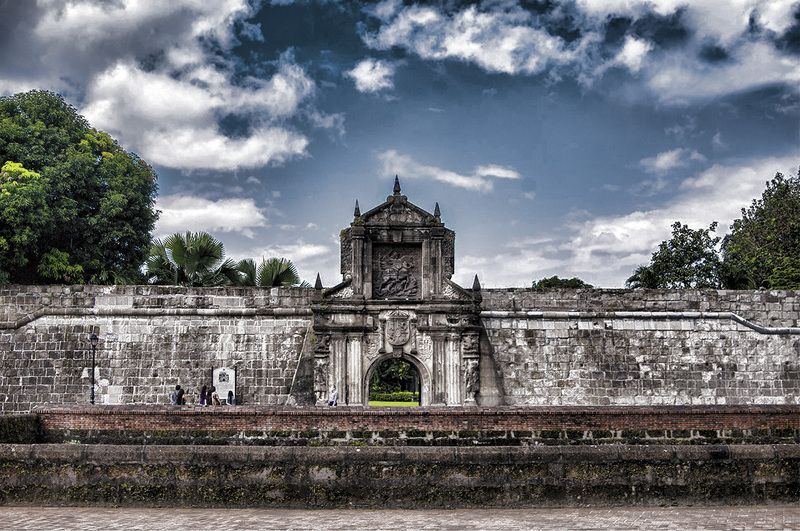 In 1571, Spanish conquistadors arrived from Mexico, through the Pacific, and founded Manila in present-day Intramuros. Spanish missionaries soon Christianized the city and incorporated Tondo under Manila and then built some of the oldest churches in the country, including San Agustin Church. The colonizers renamed the area Nuevo Reino de Castilla, or New Kingdom of Castille, with a shortened name, Manila. Manila became the center of Spanish activity in the Far East as it is the other end of the Manila-Acapulco Galleon trade route, linking Spanish America with Asia. Due to the central location in the Pacific sea trade routes, Manila received the moniker of the "Pearl of the Orient". During the Spanish rule of Manila and the entire archipelago, there were local revolts, Chinese insurrections, massive pirate attacks, great earthquakes, Dutch raids and invasion attempts, including that of the British. Despite those disturbances, order would usually be restored and the city would return to the business of trade. 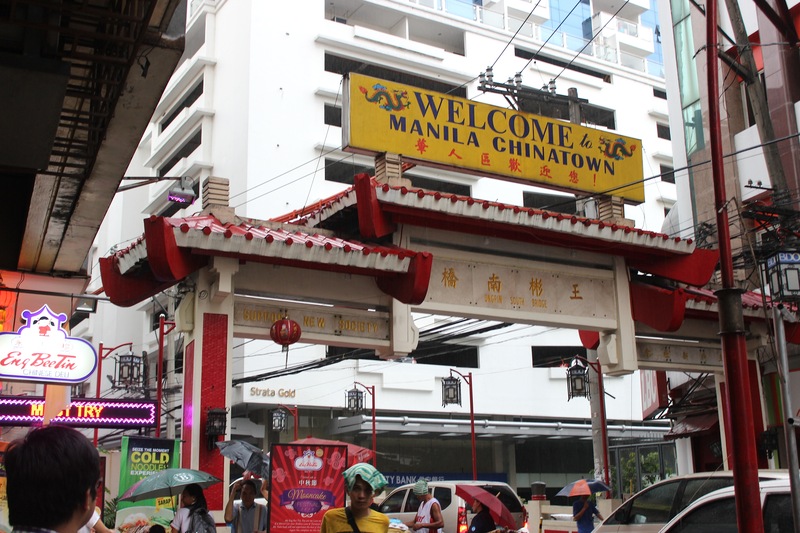 Manila was known for being the Philippine Cosmopolitan Capital. And also for the colorful jeepneys, Manila Bay sunset. Intramuros, also known as the Walled City, is home to many old and grand churches like the Manila Cathedral, the seat of the Catholic Archdiocese of Manila and the San Agustin Church, the oldest stone church in Metro Manila and one of the four Philippine Baroque Churches inscribed in UNESCO’s World Heritage List. Within Intramuros, one will also find Fort Santiago, an old fortification built nearly 150 years ago through Filipino forced labor. One will find a park with flowering trees, homing pigeons, and Dr. Rizal's cell before he was shot at by the firing squad at Bagumbayan, or Luneta. There are also horse-drawn carriages to take you around the Walled City. 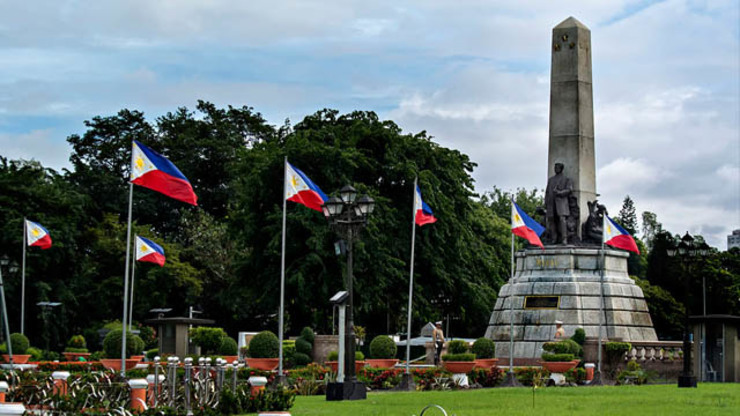 Also known as Luneta Park, which is along Roxas Boulevard. From there, you can cross the street to Quirino Grandstand, where major events like inaugural of presidents and papal visits are held. This is not your ordinary museum for the building itself is rich in history. 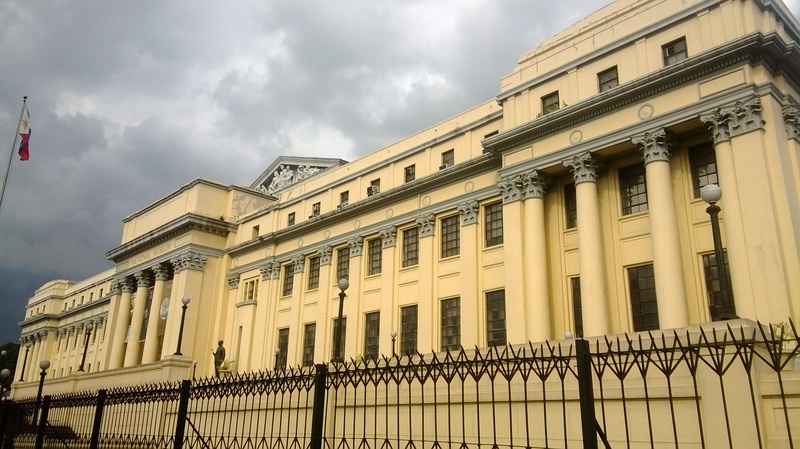 It used to house the Philippine Congress before the House of Representatives moved out to Batasan Complex and the Senate transferred to the GSIS building. Found along the bank of the historic Pasig River, it shows the long history of Chinese presence in the country long before the arrival of the Spaniards. Today, it is an important trade and business center, and a primary bargain shopping destination. This church is found in Chinatown where Quiapo church, which houses the Nazareno, is also nearby. 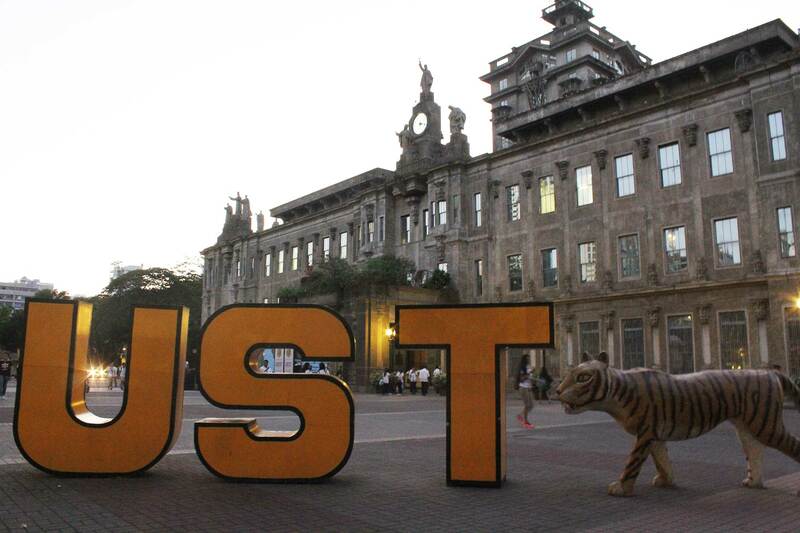 UST, which is found along España Avenue, is the oldest existing university in Asia. In terms of student population, it is the largest Catholic university in the world in a single campus. In the episode called "Fresh Meat" of the hit TV show Supernatural, the Filipino Aswang was the subject. The aswang is a Filipinno version of a female vampire who eats unborn children. The 1926 film Tatlong Hambog is the first Filipino film that featured a kissing scene. It happened between Elizabeth "Dimples" Cooper and Luis Tuazon. The most number of species of birds and butterflies are found in the Philippines. Devotees go to Quiapo Church, Manila in honor of the Black Nazarene every January 9. The miraculous wooden black statue of Jesus is carried out and around Manila during procession by male devotees. Were Pugo and Tugo already bald before they got into show business? No. They only decided to do away with their tops when they teamed up for the first time in a vaudeville comic act in 1934.
."Kalendariong Tagalog ni Honorio Lopez" is the most popular and durable out of the many Philippine almanacs. The first International Fair in Asia was held in Manila to showcase different commercial and cultural products from all over the world. One of the main guests were then crowned Ms. Universe Armi Kuusela and Ms. Philippines Cristina Galang. Peter Gene Bayot Hernandez a.k.a Bruno Mars is a half Filipino and Puerto Rican singer. He is widely known for his certified chart-topping hits such as Uptown Funk, and Just The Way You Are. The Philippine capital city of Manila was named after the white-flowered mangrove plant, the Nilad, or Scyphiphora hydrophyllacea. It is a tree with white, star-shaped flowers but yields dark blue dye, which is why in other countries it is called the Indigo tree. The first Filipino novel was "Ninay" by Pedro Paterno which was published in 1880, according to literary expert Bienvenido Lumbera. Dr. Jose Rizal's "Noli Me Tangere" was published seven years after Ninay while El Filibusterismo in 1891. Zoilo Galang's "A Child of Sorrow" is the first English novel ever written by a Filipino. The smallest shell in the world known as pisidium, can be found in the Philippines. Sizzling sisig is a Filipino dish made from parts of a pig's head. First, it is boiled so that the hair can be removed and to soften the meat. Portioons of it are grilled before frying with onions then served on a sizzling hotplate. The nation got its ‘Philippines’ name after King Philip II of Spain. The event is a 30-minute aerobics exercise supervised by the Department of Health. It was held on February 16, 2003. Approximately 107,000 Filipinos joined the event held at Rizal Park, Manila to form the largest synchronized exercise in the world (Guinness Book of World Records). Other participants also gathered in Cebu and Davao City to join simultaneously with the Manila event. Mi Ultimo Adios is the most translated Philippine poem. The first Philippine Flag was sewn by Doña Marcela Marino de Agoncillo, Lorenza Agoncillo, and Delfina Herbosa de Natividad in Hong Kong and was first displayed in battle on May 28, 1898. The flag’s design contains a sun with 8 rays which represent the first 8 of provinces who started the 1896 Philippine Revolution – Manila, Cavite, Bulacan, Pampanga, Nueva Ecija, Tarlac, Laguna, and Batangas. It also contains 3 stars which originally represents the 3 regions that fought in the 1896 Philippine Revolution – Luzon, Panay and Mindanao. But is later changed to the 3 main regions of the Philippines – Luzon, Visayas and Mindanao. It also contains a triangle to represent the emblem of Katipunan, the secret group who is against the Spanish rule. It has the colors red, white and blue to represent the Philippines’ gratitude towards America for fighting with them against the Spaniard but is later changed to the horizontal red stripe for patriotism and valor, equilateral, white triangle for equality and fraternity, and horizontal blue stripe for peace, truth, and justice. 40 women. 184 kg. of glutinous rice. 960 grated meat of coconuts. 480 kg. of brown sugar- all these to make the largest calamay (rice cake) ever baked in the Philippines. This giant dish was enjoyed by around 3,000 people from Candon City in 2002 and the cake measured 5 meters in diameter and 2 inches thick. The Philippine flag was heavily inspired by the U.S. flag The similarity between the two flags is not mere coincidence. As a form of “profound gratitude,” the designers of the flag decided to honor the U.S. for its “disinterested protection” of the Philippines, thus the red, blue and white theme and the use of stars. The Philippines is the world’s number one producer of coconut. Likewise, the Philippines is one of the largest exporters of tropical fruits. Mayor Reynaldo Malonzo officiated the possibly largest gathering of couples who got married on February 14, 2003. Pinikpikan na manok is a live chicken beaten to death with a stick. This process is done to tenderise the meat. It is then boiled with salt and cured pork. The inspiration behind the Christmas song “Payapang Daigdig" came from the ending of World War II. This song is acclaimed as the local counterpart of the traditional Western carol “Silent Night, Holy Night.” It was composed by National Artist for Music Felipe Padilla de Leon. In 2003, residents of Ilagan, Isabela made the second biggest rice cake during the town's 317th founding anniversary. The rice cake measured 3.7 meters tall and 0.6 meters in diameter. Who first made the banana catsup and the pineapple vinegar? Maria Ylagan Orosa of the Philippines. In September 2002, during the Tossed Salad Festival in Baguio. 67 students and members of the Bagio Association of Hotels and Inns (BAHAI) mixed 2,976 KG of carrots, cucumbers, tomatoes, bell peppers and other vegetables in an iron bowl measuring 20 feet long, 10 feet wide and 2 feet deep. This is considered as the world's largest salad ever. Foreigners can't own land in the Philippines. They can only own condominium units, as long as the corporation who owns the company is at least 60% Filipino-owned. The antibiotic erythromycin was invented by Filipino Dr. Abelardo Aguilar in 1949. He sent a sample to his employer, the Eli Lilly pharmaceutical company, which promptly patented it. Erythromycin is used for people who are allergic to penicillin and has saved millions of lives. The Philippines is known for writing classic and timeless comics that gave characters that are worldly and innocent like Darna, Facifica Falayfay, Lagalag, Kulafu, Kenkoy, Dyesebel. The first ever Philippine comic magazine is Halaklak Komiks which was published in 1946. The world's first bamboo and rattan roadster is made from natural fibers and material. It is Kenneth Cobonpue's solution to the growing demand for biodegradable cars. The Phoenix Roadster was built in 10 days and can last up to 5-10 years. This eco-friendly automobile can be recycled without spending too much energy and money. However, it doesn't have an engine yet, but the makers are considering to install one. The Giant Golden-crowned Flying-fox (Acerodon jubatus) is a rare and endangered fruit bat which is also considered as the largest bat in the world. It has a wingspan of 5 ft and weighs 3 lbs. It can only be found in the Philippines. Galunggong (mackerel) is the most widely caught fish in Philippine waters. 16 new species of mammals were discovered in the last 10 years in the Philippines, making it the country with the highest rate of discovery of new species. An example of which is the Pirate Ant that was discovered in 2013. Philippine Airlines' first flight was from Manila to Baguio on March 15, 1941. The plane was a twin-engine Beech Model 18 carrying five passengers. There was no attendant or lavatory. It reached Baguio in 45 minutes. The Basilica of San Sebastian or Basilica Minore, located in Manila, Philippines is the only steel church in Asia; and the second building made out of steel. The first is Eiffel Tower in Paris. There are some rumors that Gustavo Eiffel, the architect who designed the Eiffel Tower and Statue of Liberty also designed the basilica. It was designed by Don Genaro Palacios in 1883. The steel plates used weighed about 50,000 tons were brought to the Philippines from Belgium. The church is earthquake proof and was completed in 1891.
."The Harvest" by miniaturist, Norris Castillo, created the smallest piece of painting in the Philippines. The oil-on-canvas painting is 1/4 inches in width and 3/8 inches in length. It is exhibited in the National Museum. Castillo says that he has created more than 10,000 pieces of painting. Luneta Hotel in Manila is the oldest multi-storied building in the Philippines. To recreate its 1918 vibe, the Hotel has been restored to its prime. .In 1593, the Dominican press published "Doctrina Christiana", the first book published in the Philippines. Since religious orders monopolized printing presses during that time, books were predominantly religious in content and purpose. Tagala - the Philippines first Filipino-Spanish dictionary which was printed in 1613, and is 25 years older than the first book printed in the United States. The fan rivarly between veteran actresses Vilma Santos and Nora Aunor has been active in the showbiz industry for almost five decades. Vilma Santos has the most awards in the Philippine entertainment history- 5 FAMAS, 8 Gawad Urian, 4 FAP/Luna, 7 Star Awards, 3 Gawad Pasado, 4 Gawad Tanglaw, 2 Young Critics, 1 Genio, 1 GMMA, 4 MMFF and 2 international best actresses awards in Brussels and Dhaka. Nora Aunor on the other hand, has received the Gawad Pasado (2015) winning 2 best actresses trophies. She and Vilma Santos is tied now in terms of their awards- 34 best actresses trophies to be exact. Puenta de Espana, now known as Jones Bridge was first built in 1701. It was rebuilt in 1916 by th Americans and was name after Atkinson Jones. The national costume of Filipino women is called baro't saya (baro means shirt and saya means skirt). Some of its kinda are: The Maria Clara Dress' takes its origin from our national costume. It is named after the mestiza heroine in one of the novels of Dr. Jose Rizal. The gown features a floor-length paneled skirt and consists of four other separate pieces: the collarless waist-length bell sleeved camisa, the bubble-shaped floor-length camisa, the neck-covering pañuelo and the hip-hugging tapis (overskirt). The Mestiza Dress is made from expensive lace and fabric. It is the sophisticated version of the simple baro't saya. The dress is also known for its elegance and its unique butterfly sleeves. It was made popular by the Philippines' former First Lady Imelda Marcos and some even called it The Imelda Dress. The Kimona Dress, which originated from Visayas, can be worn for everyday activities. This is always worn with a West Visayan wrap around called "patadyong" as a skirt. There used to be a time when rice was cooked in bamboo. The largest painting in the country measures 4.6 meters wide and 7.72 meters long. This masterpiece was made by Juan Luna and is called "Spolarium". It is on exhibit at the National Museum, Manila. The Yo-yo, a popular toy worldwide, was invented by 16th-century hunters in the Philippines. During the early times, it was a studded hunting weapon attached to a 20-foot rope. The modern yo-yo was invented by a Filipino American, and the name of the product came from the Filipino language Ilocano which means "come back". Cosmetic products were already in the market in Manila in the 1910's. However, it was only in the late 1920's when an ordinary Filipina could wear make-up in public with confidence. Before that, a person who would wear make-up in public would be mistaken for a ballerina or vaudeville artist. No make-up make-up look is no longer a trend. The fad for make-up is more of bolder shades and brighter colors either in satin or matte finish for your lipstick. Saltwater and freshwater fish are abundant in the country, which is why Filipinos are fond of eating fishes. The commonly used flavoring and spices in the Philippines are patis (fish sauce), toyo (soy sauce), suka (vinegar), bagoong (shrimp paste), banana ketchup, coconut milk, bay leaves and garlic. These are used in different dishes but can also be used as dipping sauces. In early 1920s, sorbetes (ice cream) was concoted. Back then, ice cream dealers would bred their own cows and milk them first hand to ensure the freshness of milk they needed for ice cream. It is commonly called "dirty ice cream" in the Philippines. Sellers would walk around the streets, pushing colorful carts full of ice cream. Popular flavors of these are- mango, chocolate, purple yam (ube) and cheese. Nail art designs and bright, vibrant colors were a fad in 2016. But the highlight is more on strips of metallic colors, achromatic stripe designs, plaids, sparkles and glitters, classic French tip etc. Halo-halo in English is literally "mix-mix"- it is a maixture of sweetened fruits and beans with pinipig (crispy rice flakes), sugar and milk, crushed ice and sometimes even with ice cream. This delicious snack is popular especially during summer in the Philippines. Balut- a boiled, fertilized duck egg with a half-formed chick inside. This is one of the most interesting and traditional Filipino delicacies. It is said to be aphrodosiac. It is best to be eaten with salt or vinegar! There are also other unique dishes which are: camaro (field crickets cooked in soy sauce, vinegar and sugar), papaitan (stewed innards of a goat or cow) and soup # 5 (soup made out of bull testicles). Suede shoes which were very popular in the 70's, will continue to be worn until today. Feminine Bardot top and shoulder cut-outs are the latest fads in fashion. Girls like to wear oversized shirts or commonly known as "Boyfriend shirts". White button downs are one of the must-haves in clothing, whether it is a classic oversized fit, slim and structured, crop, etc. Many nationalities such as Malay, Spanish and Chinese have influenced Filipino cuisine. As time went by, our delicacies were also influenced by the U.S., Germany, and Japan. Feel like wearing your sleepwear outside? Then put on Silk trousers or lace slip dress. It will make you feel like you're in your pajamas even outdoors. During early times, Filipinos used their hands to eat. This practice is called "Kamayan". But, due to the influence of western culture, eating with the use of utensils was introduced. Nowadays, Filipino households normally use spoon and forks but occasionally reverts back to "kamayan" especially in Boodle Fights (all the food is laid out on a banana leaf). "Adobo is one of the most popular dishes in the Philippines. It might just be the Filipino national dish. It is a dark stew of chicken or pork cooked in soy sauce, vinegar, crushed garlic, bay leaf and black peppercorns. This dish dates back long before Ferdinand Magellan's arrival in the country. Other ""lutong bahay"" (home-cooked meals) are kare-kare and sinigang. Every Filipino household has their own unique way of cooking such meals and these recipes have been passed from generation to generation." Tanduay rum has been in the market since 1854 and until now it is still Filipinos' choice of alcohol. It is made from sugar cane milled in the island of Negros. Dinuguan is a Filipino savory stew of pork organs or meat simmered in dark gravy of pig blood, garlic and vinegar. It can also be paired with puto (Filipino steamed cake). Challenge 21 is an award-winning game created by Leonardo Mejia Yu of Malate, Metro Manila. As the name implies, Challenge 21 is a strategy board game that combines the difficulties of scrabble, bingo, tic-tac-toe, checkers, and even basketball. For its ingenuity, Challenge 21 has received several prestigious awards including a gold medal from the World Intellectual Property Organization (WIPO) and the first prize from Tuklas Award in 2012. Manila is considered the world's most densely populated city in the world. It has a population of 1,660,714. Within 38.55 square km, and has a population density of 55,446 people. The term alak (liquor) may have been derived from the Arabic term arak. It is an alcoholic drink with rum-like taste and is widely enjoyed in the Middle East and other parts of Asia. Bagoong is an interesting find in the Philippines- it is a fish or shrimp paste that defines the theme of most ethnic food: unhygienic, stinky BUT irresistible. Sawsawan (dipping sauce) is very popular among Filipinos. It is usually paired with a dish. Filipino favorites are: toyo (soy sauce) with calamansi (philippine lemon), suka (vinegar), fish sauce (patis) and for people who want it hot and spicy- one can add chili on whatever dipping sauce and it would still taste good. The first Philippine komiks magazine is Halakhak Komiks (1946). Chicharon is a crackling popular among Filipinos. Whether it is pork, fish or chicken, Filipinos love it! Best eaten with vinegar. In the Philippines, street food is popular. Some may say it's dirty and unhealthy- but it's definitely yummy. Popular street food are: barbecue, lugaw (Filipino version of congee), banana-cute, fishballs, adidas (chicken feet) and taho. On May 4, 2006, the Philippines has set a World Record on breastfeeding simultaneously. 3,541 Filipina mothers breastfed together to promote breastfeeding in the Philippines. Kalamay is a gelatinous rice cooked with brown sugar and coconut milk. Sundot Kulangot or in english "poke a snot" or "poke a booger" is a famous delicacy in the North. The name may seem disgusting but its name is far from the taste of this candy. In 1992, Pepsi offered 1 million pesos to anyone who had a bottle cap with “349” printed on it. Turns out, half a million bottle caps got the winning number. Bakya is a type of sandal that became popular in the 1930s and was even exported to different countries. It is primarily made of light wood (laniti and santol trees), sculpted with a slope and shaved for a smooth finish and then painted with floral designs or varnished to a high sheen. The upper portion is made of rubber and transparent plastic fastened to the side of the sandal with a thumbnail called "clavitos". Almost all meals in the Phillippines are served with rice. Even Mcdonalds here has rice meals. Rice is a principal ingredient in Filipino cooking. It is also used in baking and cooking sweet dishes. Some Filipinos use cassava as a substitute for rice. The barong tagalog or baro, a traditional Filipino male garment which is worn on formal occasions, is woven from piña (pineapple plant fibers), jusi (raw silk), ramie (grass fibers) or banana tree fibers. It is worn as an outer garment and has collars, long or short sleeves and mid-thigh horizontal hemline with side slits. Choc-nut is a crumbly peanut chocolate bar that became popular in the 80s. BABABA BA? which means "Are you going down?" is one of the most fun things to say in Tagalog. Pig trotter or crispy pata is one of the specialties here in the Philippines. It is boiled and then deep-fried- served with vinegar. It can be eaten as a snack, appetizer or main dish.